First of all you need to create a coupon. 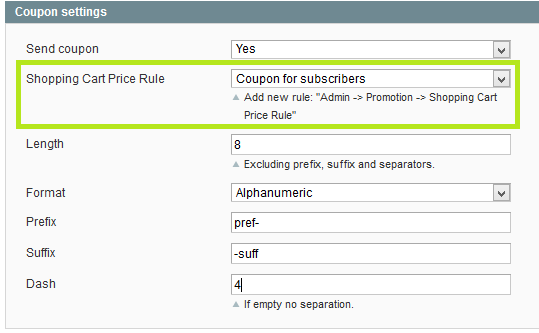 Go to Admin Panel >> Promotions >> Shopping Cart Price Rules >> Add New Rule. Choose "Coupon – Specific Coupon“. Check "Use Auto Generation" or enter your coupon code. Set "Uses per coupon" and "Uses per customer" to 1. Go to System >> Configuration >> Magetrend Extensions >> Newsletter Popup (FREE) >> Coupon Settings >> Shopping Cart Price Rule >> Choose before created cart price rule. Set before already created template as primary template. 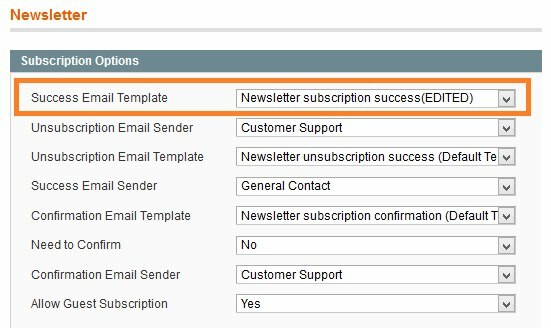 Go to Admin Panel >> System >> Configuration >> Newsletter >> Subscription Options >> Success Email Template >> Choose your template.